For your next holiday in Spain, come to the unforgettable Solmar holiday park. 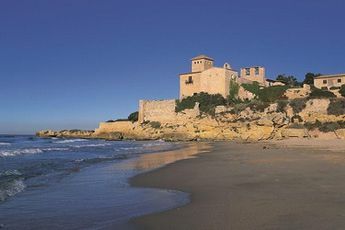 This site is perfectly located for making the most of the beautiful waters of the Costa Brava and warm summers sun. The campsite is located 300 m from the beach and 116 km from Montserrat monastery. Stay at the Solmar campsite and experience amazing moments with family and friends. The whole family will love swimming in the campsite's swimming pool with its exotic décor whilst the water jets and waterfall will delight the little ones. On-site you'll also find a multi-sports pitch, a mini-club offering varied activities to entertain the children and a nearby beach ideal for swimming and relaxing. Trips on foot or by bike allow you to discover the region's beauty, its distinctive features, its traditions and its history. Make the most of your stay and discover over 3000 species of plants at the Marimurtra Botanical Garden. 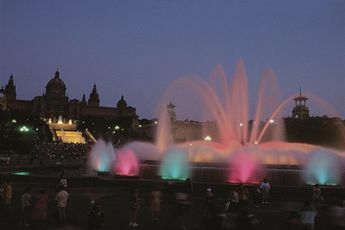 The towns of Girona and Barcelona are also unmissable destinations during your holiday in Spain. Take the AP-7 motorway exit 9 towards Vidreres, then continue onto the N-II towards Blanes. 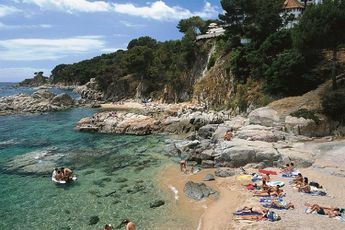 Discover the Costa Brava, famous for its landscapes and its many creeks. Blanes has over 4 km of coastline and beaches to make the most of the sun! 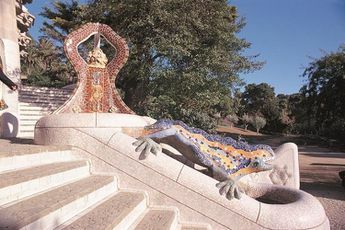 The first Catalan town to have been awarded the Family Tourism label, it offers many activities and a large gastronomic selection for both young and old. Catalonia will surprise you with its historic towns: Girona with its many monuments, Barcelona and its famous Güell park, the gothic area, Gaudi's architecture.